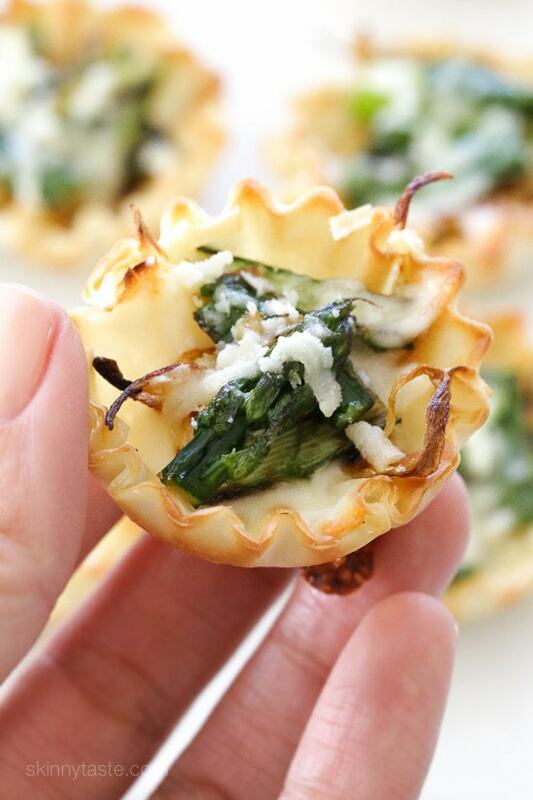 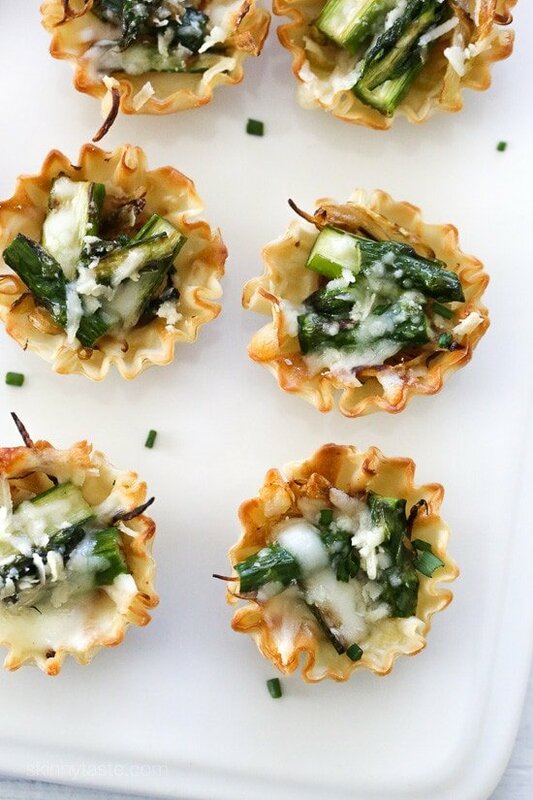 Asparagus and Caramelized Onion Tartlets make a tasty appetizer for Easter! These bite-sized asparagus tartlets are SO so good, made with a combination of caramelized onion, cheese and asparagus, they are ridiculously easy to make thanks to the mini phyllo pastry shells. You can prep everything ahead and assemble, then bake it in the oven just before ready to serve.